Keep Stables is now an official group member of the Confederation for Working Equitation in the United States! We have a group of active Working Equitation riders who are schooling Intro and Novice level for Ease of Handling and Speed Tests, and higher levels for the Dressage phase. Because our farm already specializes in Dressage training, we find that Working Equitation is a natural challenge to progress in our skills and have fun with our horses! Keep Stables is located in Woodbine, MD which is about 45 minutes north of DC, 30 minutes west of Baltimore MD, and 30 minutes east of Frederick Maryland. Figure riding obstacles such as figure-8, barrel racing pattern, single and double slaloms. Please email us for the schedule of our small group practice sessions – for a small fee, we allow trailer-in with prior coordination. Our head trainer Holly Linz can assist you in learning the ease of handling obstacles and dressage training. We have access to a nearby farm with beef cattle and are planning trips to practice cattle handling and get used to the ranch environment. Working Equitation is a new, rapidly growing horse sport that is amateur friendly and lots of fun! It has spread to several countries worldwide, and is strongly influenced by the Spaniard cattle handling traditions. Style is important in Working Equitation – riders are allowed to choose their own style of dress and tack, and are not required to wear helmets. Examples include: Formal English, Portuguese, Western USA, and Spanish. A wide variety of tack and bits are allowed such as hackamores, snaffles, curb bits, and bitless bridles, which makes the sport welcoming to a wider range of riders. Riders are expected to stay consistent with their style; using the same dress and tack for all phases of the Working Equitation show. Very similar to the USEF / USDF Dressage Tests, the Working Equitation Dressage tests are performed in a 20×40 meter dressage arena and follow the same basic movements as English and Western dressage tests. For example, Intro dressage has walk-trot figures such as 20 meter circles. 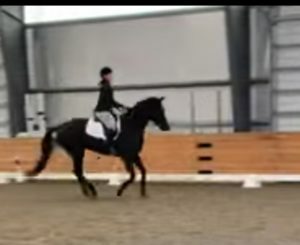 Novice dressage includes a short rein-back and turn on the haunches. Intermediate and higher tests include collection, flying changes, and other precision movements. What is the Working Dressage phase? It is a test to show the rhythm and regularity of the natural gaits and the precision of the horse to prepare for the other 3 phases. These are achieved through systematic gymnastic movements which are judged individually on a scale of 0 -10. Working Dressage does seek to demonstrate a horse’s natural athletic ability, willingness to work and lightness as does traditional Dressage and Western Dressage. It differs from Competitive Dressage as there is not an emphasis on extension work and the trot is only used as a training gait and appears in the tests less and less as the levels advance, focusing on the working gaits of the walk and canter. Working Dressage creates an opportunity to chain together the movements usually practiced in a work situation with cattle. Working Dressage requires that a horse show regularity and purity of gaits performed in horizontal balance who is then able to continue on to perform obstacles, work cattle and remain obedient at fast speeds. This phase is most similar to a Trail Competition, but is less about surviving and more about showing that you and your horse are working together as a team. The test replicates the tasks a cattle working horse would be expected to perform during a day on the ranch. During a test, you will be expected to move through about 10 obstacles such as a gate, an L-shape, a low bridge, and slalom poles. You might stop by a barrel and hoist a jug of water overhead, then set it down. In between obstacles, you would trot or canter. Sometimes there are live animals in the round pen obstacle (such as chickens), which tests your horse’s experience and temperament. You are judged by how efficiently you and your horse progress through the obstacles. 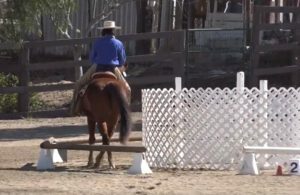 Does your horse wait calmly while you manipulate the gate? Is your figure-8 around the barrels round and symmetrical? Does your horse willingly walk over the bridge or do they try to shy away? What is the Ease of Handling phase? This phase which in other countries is also called ‘Manability’, ‘EOH’ ‘Style phase’ ‘Obstacle test’ or ‘Handiness test’ is an obstacle type event in which horse and rider must overcome elements which symbolize the difficulties natural and not, relative to those likely to be encountered in the field (i.e. crossing bridges, passing through gateways, side passing, etc). 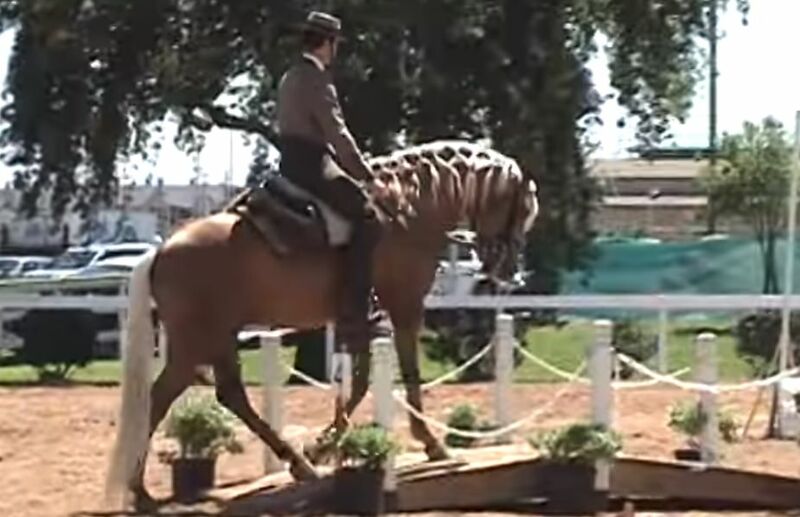 The manner in which the obstacle is executed – focusing on agility, submission, working attitude, as well as ease of movement and of handling – is scored by a judge the same way as the Working Dressage test on a scale of 0-10 for each element. The speed phase goes through the same set of obstacles as the Ease of Handling test, but the score is based on completing the obstacles at speed. For example, the rider who completes all obstacles in 2 minutes will beat the rider who completes the obstacles in 3 minutes. If you cannot perform an obstacle, there is a set penalty assigned such as 10 or 30 seconds added to your time. This is an exciting competition to perform and observe! 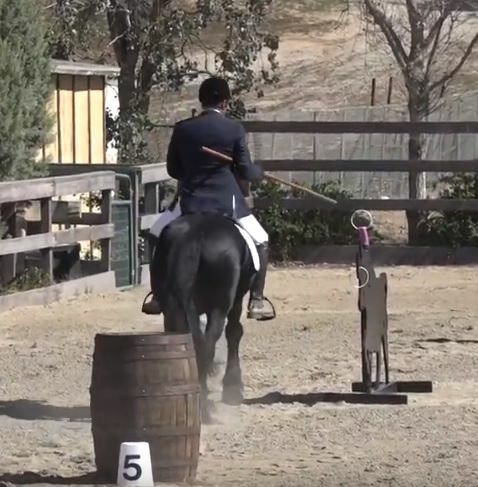 Remember though – none of these phases are required; some riders will only perform the dressage phase and ease of handling while others will sign up for all four during a competition. What is the Speed phase? This is the second test of handiness, the first “EOH’ (listed above) is a test of technical handiness; this is a test of time handiness. It is a timed obstacle race, using the ‘Ease of Handling’ Obstacles. This is the same event as ‘EOH’ but measured in an objective way by the use of a stop watch -timer. The goal is to promote the horses which are most manageable. The individual scores are based on elapsed time through the obstacles and time penalties for course errors. The routes and the penalties applied for the mistakes must be such as to prevent any attempt to promote just the top speed, and not the handiness which would be contrary to the spirit of the discipline. It is the most exciting element in the Working Equitation competition series. This phase is only included in some shows since it can be difficult to arrange livestock that are used to being handled from horseback. Riders are judged in their ability to separate a specific cow from a group and herd it into a holding pen. This takes equitation skills similar to a Western Cutting Horse. What is the Cattle Handling phase? The Cattle handling phase is the essence of the sport of Working Equitation. It is performed by a ‘Team’ of three or four riders. This is a timed test which is to prove the skills of the competitors with cattle. The constraints of the test are to show: 1.) A calm approach to the cattle. 2.) The isolation and the sorting of the cattle in respect of the integrity of the herd. 3.) The conduct of the cattle sorted efficiently and accurately. 4.) Teamwork. The event consists of team members individually separating a particular animal from the herd, and then as a team herding it into a separate pen. It is similar to the American sports of Team Penning or Ranch Sorting. PDF: Summary of time penalties, time bonuses, and disqualifications. Obstacle requirements summary (gaits, appropriate levels). Events Calendar (Region 6 includes Maryland, DC, Virginia and most of New England.